Our Crombie Lockwood insurance scheme is one of the main funding sources of the NZYTA. The association receives payment from Crombie Lockwood Insurance Brokers directly related to the premiums paid by those members participating in the insurance group. It is funding that is most appreciated and very necessary. How long has the insurance group been operating? The group was started back in 1976 by Graham Dowling, now Crombie Lockwood in Tauranga. How many years has the NZTYA been receiving funding from the insurance scheme? Funding to NZTYA began the same year. Yes, that’s right NZTYA has been receiving financial support from the brokers for over 40 years!! Insurance group membership numbers have been up and down over this time and it is fair to say that this has generally been relative to the effectiveness of NZTYA and the club, squadron and association executives. Generally, when club membership numbers have been up so has the number of trailer yachts insured through the insurance scheme and to complete the circle the financial support to NZTYA has been greater. The principal reason to be involved with the group is to have Trailer Yacht claims dictate Trailer Yacht premiums without the influence of other types of vessels. The insurer chosen by the broker is Vero Insurance Ltd who have an experienced marine hull department and who have worked well with the broker to make this group a success. Schemes such as this need volume. They need participation by a majority rather than just a few in order to be a success and, in this case, to continue to provide funds to NZTYA. In previous years the scheme rates were considerably less than individual premiums elsewhere; in fact there were instances where the cost was less than half the cost of other quotations. The premiums then were a real breakthrough for trailer yachts and while the current terms are not that much different to the market average, the cost of hull insurance over all is much lower than it was due to the competition schemes like this created. Therefore, while the savings may not be as great today, you, as members of clubs, squadrons and associations affiliated to NZTYA, directly benefit from the funding package. It is not all about the amount of premium saving it is also about support, firstly from you to the insurance scheme and in turn from the scheme by way of financing back to NZTYA. Effectively you get back more than just peace of mind. To summarise NZTYA, and you as members, have received great financial support from the brokers for your insurance group for many years. It is important that as members we support the Crombie Lockwood/NZTYA insurance group and ensure the continuation of their ongoing assistance. 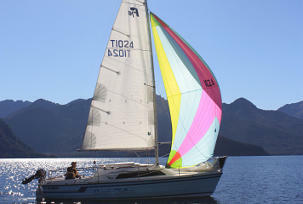 · Loss of entry fees – where you have entered into any on-water event for which you have paid an entry fee, such as a regatta or fishing competition, but you can no longer take part as your boat is damaged beforehand, and that damage is accepted as a payable claim - $1,000 in any one period of insurance.